The Golden Ring of Russia is the main and most popular tourist route around provincial cities of central European Russia. There is no officially defined list of all the cities included on the route, but you can find a list of the cities frequently included on our Golden Ring Cities page. In any case there are certainly a few cities which you should see and some you can skip. Some of the cities frequently included on the Golden Ring route are rather remote with poor transport connections, but still worth visiting. If you don't have much time it is still worth leaving Moscow for just a day to visit one of the Golden Ring cities, but also it’s possible to spend a whole week just staying for a day or even less in every city. However remember that the main sights on this route are churches, monasteries, icons and kremlins and if this is not your thing you might easily get your fill of these sights after just a couple of cities. 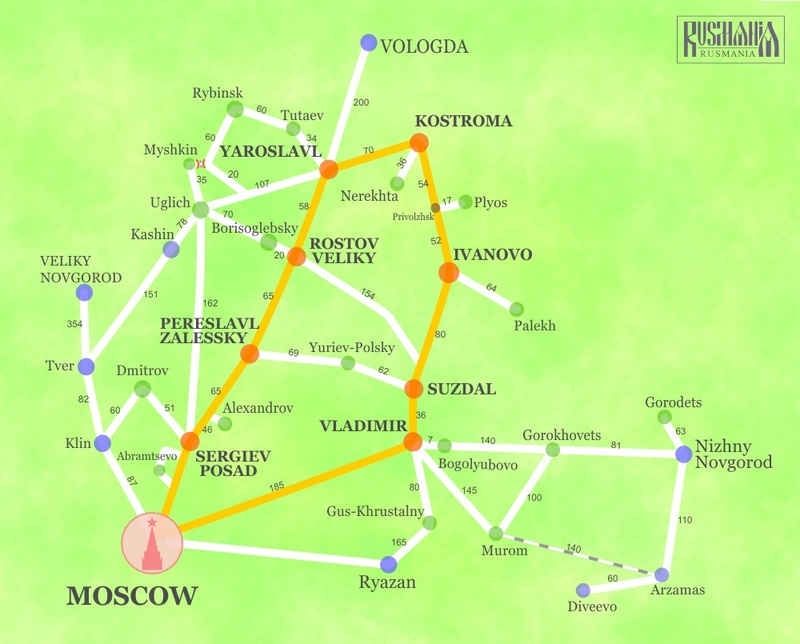 The Golden Ring route goes across five regions of Russia's Central Federal District (the Ivanovo Region, Kostroma Region, Moscow Region, Vladimir Region and Yaroslavl Region). All the administrative centres of these regions are connected with Moscow by railroad and are transport hubs for their regions. Many other Golden Ring cities do not have railroad connections, only roads - such cities though are less developed and therefore more interesting as they tend to be unspoiled by modern industry. Although the bus connections between Golden Ring cities is usually good, you cannot always expect to travel on very comfortable buses. For some directions you can buy bus tickets online. Some cities are also connected by ferry but the schedule changes quite often and is seasonal. There are no luxury hotels on the route, the best you can expect is 4* hotels in Yaroslavl. Some cities are so small that there is only one Soviet-style hotel, but some have a wide range of guest house type accommodation, for example Suzdal. Most of the hotels in the Golden Ring cities can only be booked by phone and sometimes the hotel charges a booking of around 10-15% of the cost of the first night. You should not have any problem finding a place to eat in large cities such as Yaroslavl, Vladimir, Kostroma or Ivanovo or in popular destinations such as Suzdal or Sergiev Posad. Although you cannot expect high-end fine-dining in these cities, you should not have any problem in finding well-prepared and tasty traditional Russian food (see our section on Russian Cuisine to help you work out the menu). With the exception of Suzdal, all the cities mentioned above also have Western brand fast-food outlets. Even in the smaller cities there are usually small restaurants and cafes and the situation is improving all the time. These usually are more Russian in style and so don't be surprised to see lots of dill, oil and mayonnaise in some dishes! One big problem in terms of finding somewhere to eat in smaller cities is that on weekends the few restaurants and cafes they have can often be closed for private wedding parties. To get a better impression of Russia, it is good to leave Moscow on a visit to a Golden Ring city. After all Moscow is and has a very good connections with the Golden Ring cities. 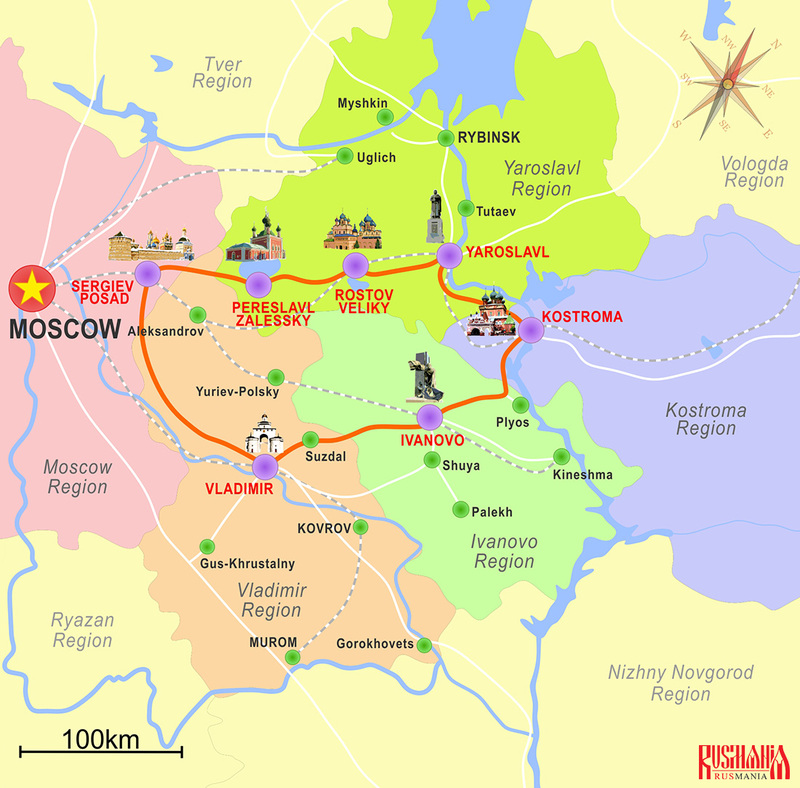 The closest city to Moscow is Sergiev Posad (Сергиев Посад) which is just 70km from the Russian capital. The furthest one is Kostroma. St Petersburg however is only connected by railway with Yaroslavl, Ivanovo, Vladimir and Kostroma. 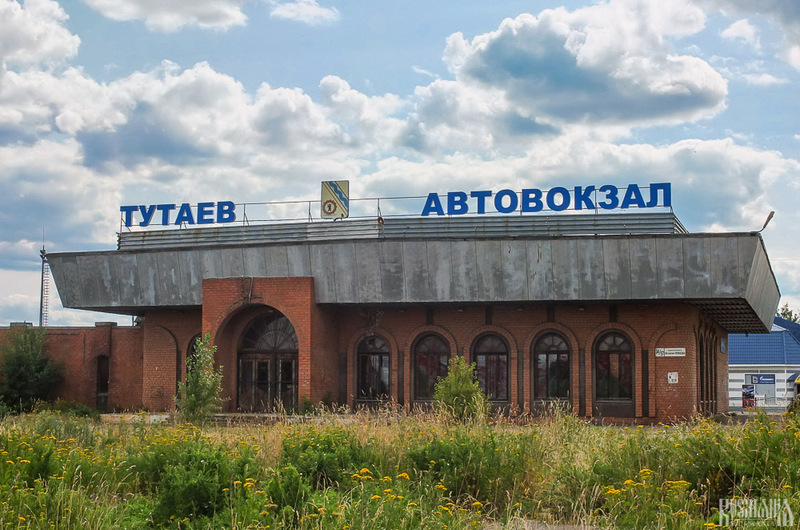 There are also flights from St Petersburg to Yaroslavl, Kostroma and Ivanovo, but the flights only operate on the certain days and the planes are quite old and unreliable. To visit all cities of the Golden Ring route, you would need at least a whole week. 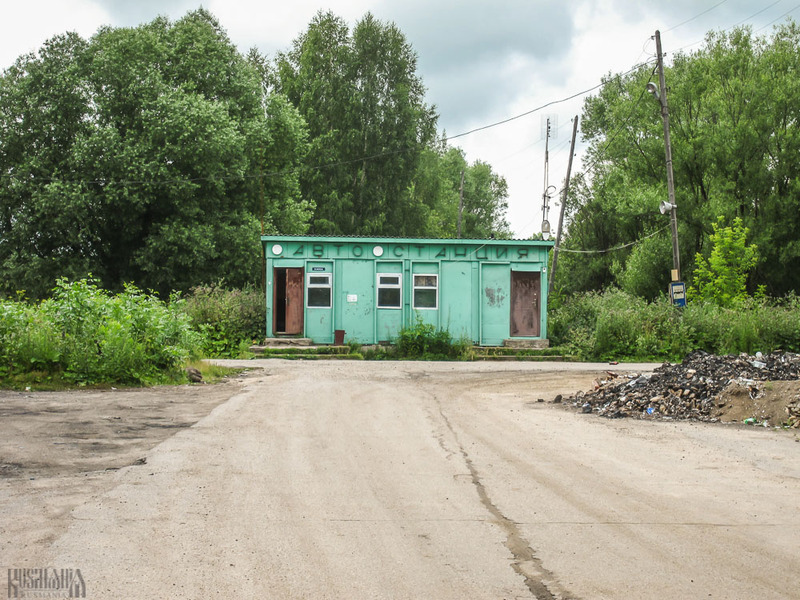 If you have a free day in Moscow it is a great opportunity to use it to escape the chaos of the metropolis by going on a day trip to see a more rural and calm Russia. Four of the Golden Ring cities make ideal day trips as they are not too far away and not too exhausting to visit in one day. However spending the night in these cities is recommended if you really want to have a relaxing break away from the chaos of the Russian capital. Two days are quite enough to get an idea about entire Golden Ring route, though you won’t have much time to relax in russian nature and enjoy beautiful landscapes of rural Russia. If you want to take it easy you or add another nearby city to the plan, you should add an extra night.